There are five national park service sites in US Virgin Islands. It is among the units of the US National Park Service that is located outside of mainland USA, along with Guam, American Samoa and Puerto Rico. The Buck Island Reef National Monument is one of the national park service sites in US Virgin Islands. This 176-acre island is small and uninhabited. It is located along the northeastern coast of Saint Croix in US Virgin Islands. The US Government first established the national monument as a protected area in 1948. However, it was declared as a national monument only in 1961. The protected area under which this national monument encompasses is deemed as one of the finest marine gardens in the Caribbean. 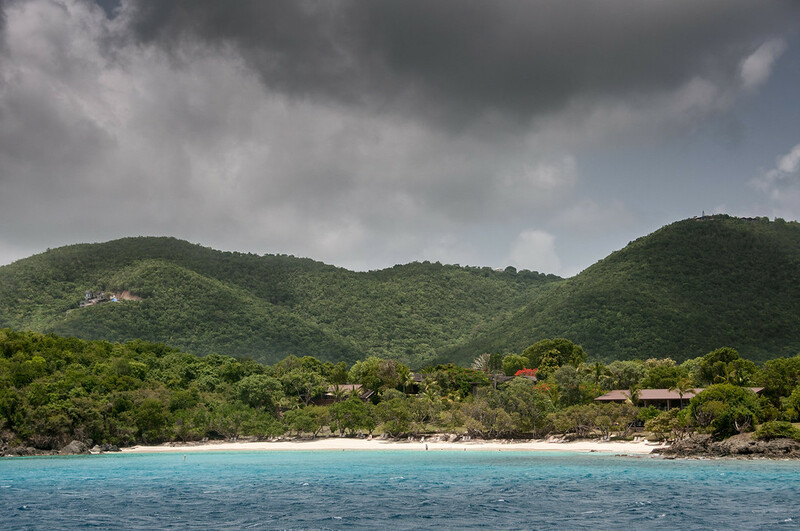 This property is also where you will find endangered and threatened lest terns nest and brown pelicans in the US Virgin Islands. This is another unit of the national park service sites in the US Virgin Islands. The site commemorates the urban colonial development in the Caribbean islands, which consists of 18th and 19th century structures. This area served as the capital of the Danish West Indies during that time. There are six historic structures found within this national historic site: 1) Fort Christianvaern, 2) Danish West India and Guinea Company Warehouse, 3) Church of Our Lord Sabaoth Steeple Building, 4) Customs House, 5) Scale House, and 6) Government House. There are approximately 106,000 tourists who visit this site each year. Located in St. Croix, this unit of the national park service in US Virgin Islands preserves mangrove forests, upland watersheds, marine environments, estuarine, and more. The preservation of the so-called features on the area are vital to the survival of various endangered species. In addition, the Salt River Bay is also considered a national historic landmark because of the Columbus Landing Site. This is the first US territory where the members of the Columbus expedition set foot on. The specific landing site is named Fort Sale. This national park makes up about 60% of the entire Saint John Island in the US Virgin Islands. It was established as a national park in 1956 and became the 56th national park in the US. As one of the national park service sites in US Virgin Islands, it is currently governed by the US National Park Service. It is a famous spot for scuba diving enthusiasts and for those who love snorkeling. There is also a tropical rainforest in the area that is protected within this national park. Since 2007, there is an average of a little less than half a million tourists who visit the park each year. This is another national monument belonging to the island of Saint John in US Virgin Islands. This national monument is home to a diverse and complex coral reef system. The survival of this coral reef system is linked to the surrounding plants and animals, particularly the non-coral environments. Hence, both areas are preserved by this national monument. It was during President Bill Clinton’s time when this site was designated as a national monument in 2001. The aim of naming the site as a national monument is to protect and preserve the health of the coral reefs. The coral bleaching in 2005 added more threat to the coral reef system in the area. Therefore, the National Park Service continues its efforts to preserve what is left of the coral systems in the area.